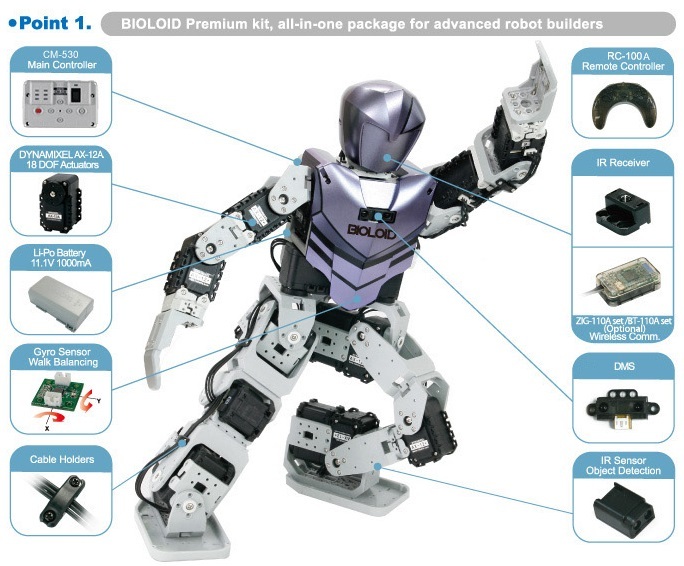 Required parts to build a robot are all included in Bioloid Premium kit, you can immediately build your own robot system. Bioloid includes gyro sensor, DMS, and multi-channel wireless expendable remote controller. 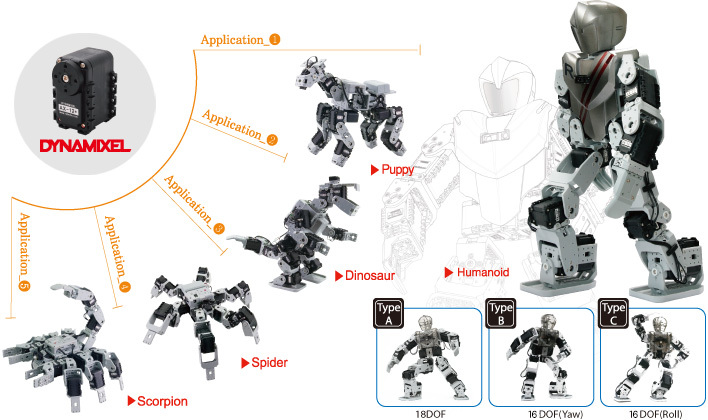 (Based on Premium Kit) Please make sure that it is easy to insert and take out the batteries; the cables are arranged safely; it has outstanding compatibility.